What does NERM mean in Unclassified? 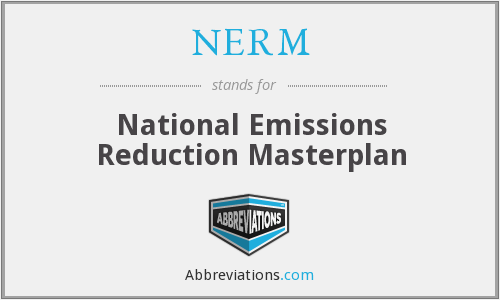 This page is about the meanings of the acronym/abbreviation/shorthand NERM in the Miscellaneous field in general and in the Unclassified terminology in particular. Nerm is a DJ, broadcaster and fixer in music and film. Born in Birmingham, as a child he edited together cut up cassette tapes to make his first "mixes". At age 16 he started DJing and made the leap from cassette to vinyl. His first residency was at the Ministry of Sound in Birmingham. Initially associated with the Asian Underground movement, then drum & bass, he is now a proponent of alternative and electronic music and curates festivals, radio shows, clubnights and soundtracks. "NERM." Abbreviations.com. STANDS4 LLC, 2019. Web. 18 Apr. 2019. <https://www.abbreviations.com/term/2042135>.